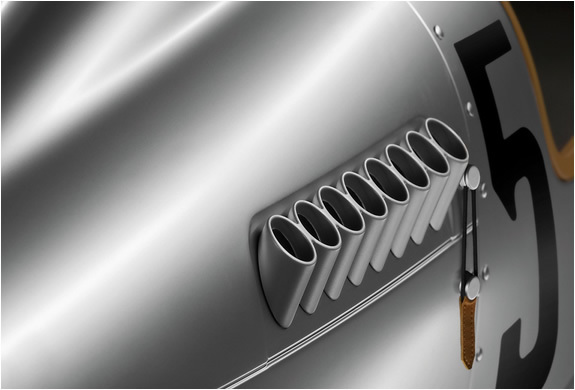 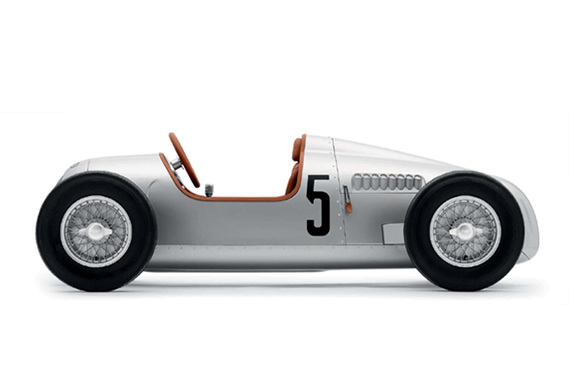 For those not familiar with this wonderful car, it´s the Audi Auto Union Type C, that back in 1936, managed 10 victories in track and mountain. 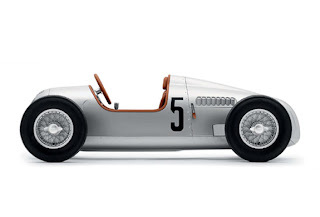 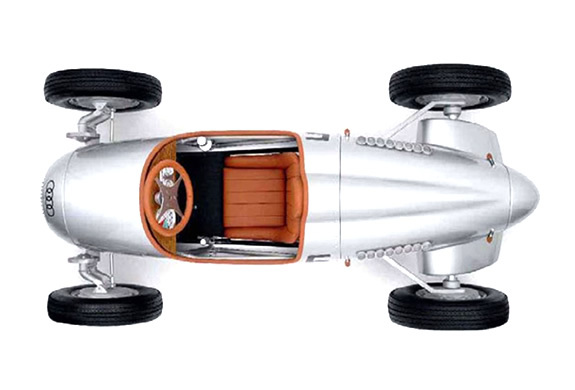 But what you see here is a limited edition replica of the legendary Auto Union Type C, a 1:2 scale pedal kart. 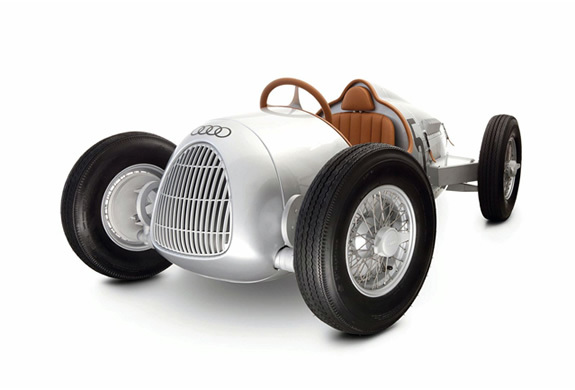 Completely handmade, with over 900 individual parts, aluminum structure, drive pedal with 7 gears, handbrake with lock function and dual hydraulic disc.This epic toy! 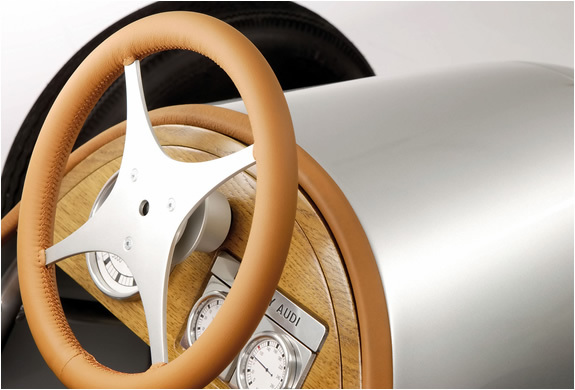 can be yours, for 'just' £10.000.